The eight sections of Women Who Rock: Vision, Passion, Power will highlight how women have driven the engines of creation and change in popular music since the early twentieth century. 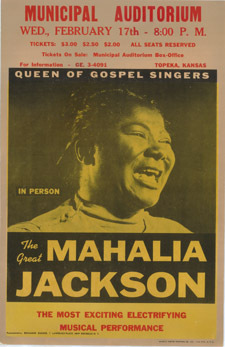 Blues women from the 1920s such as Ma Rainey and Bessie Smith set the stage for those who followed: Brenda Lee, the Ronettes, Janis Joplin, Carol King, Donna Summer, Siouxsie Sioux, Madonna, Bikini Kill, Queen Latifah, and Lady Gaga. In addition to displays of artifacts and memorabilia, as well as videos and listening stations, the interactive exhibition will set up a recording booth where visitors can record a short story or moment of inspiration related to women in rock. On Saturday, May 14, the Brooklyn Museum will hold a daylong symposium in conjunction with the exhibition Lorna Simpson: Gathered (a CWA Pick from February). Graduate students will present their research on topics such as the implications of women artists using images of women in their work, the connections between women’s history and contemporary art, and perceptions of race and gender. In addition, Wendy Steiner, an English professor and the founding director of the Penn Humanities Forum at the University of Pennsylvania, will speak about concepts of beauty, while a panel discussion will feature the comedian Erica Watson, the drag king Shelly Mars, and the illustrator Molly Crabapple. The photographer Uta Barth once intriguingly said that her contemplative images of domestic scenes devoid of action “are really not of anything in that sense, they register only that which is incidental and peripheral implied.” Curated by Elizabeth Siegel of the Art Institute of Chicago, this exhibition presents her latest series, called … and to draw a bright white line with light, alongside two earlier bodies of work: white blind (bright red) from 2002 and Sundial from 2007. 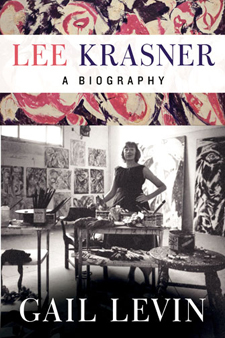 On Sunday, May 15, the art historian Gail Levin, who teaches at Baruch College and the Graduate Center in New York, will discuss her most recent book, Lee Krasner: A Biography (New York: William Morrow, 2011), which looks beyond Krasner’s relationship with her husband Jackson Pollock to detail her own brilliant career as a painter in New York. A book signing will follow the 2:00 PM talk. This traveling exhibition surveys Loïs Mailou Jones’s seventy-five years as a painter, tracing the development of her work from her early career into her signature mixture of African, Caribbean, American, and African American iconography, design, and thematic elements. Comprised of over sixty paintings, drawings, and textile designs from public and private collections, Loïs Mailou Jones: A Life in Vibrant Color also includes, for the first time, major holdings from the late artist’s estate for public presentation. A CWA Pick in October 2010, the exhibition originated at the National Museum of Women in the Arts in Washington, DC.